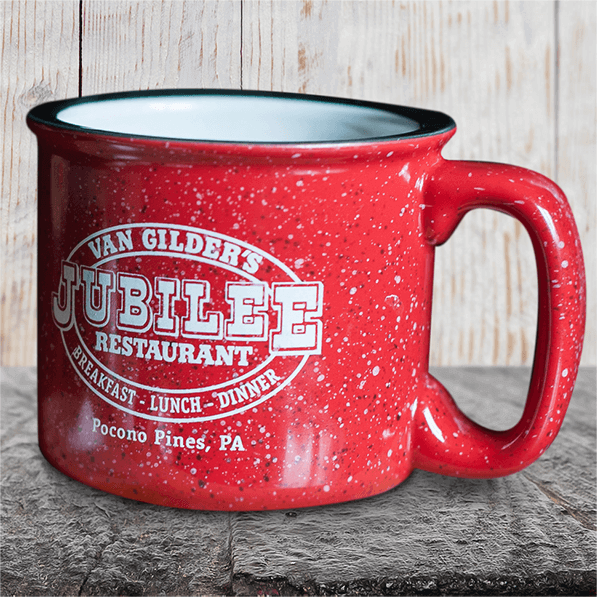 Jubilee Campfire Mug – Large 15 oz. size in a variety of colors. Choose your 4 favorite colors when ordering. Flat Rate Shipping of $13.50 for all 4 mugs. Our supplier is backordered in certain colors. Before ordering, please call us to confirm availability of colors.